It’s time for another trip up the road to the one and only Portlandia. The second season of this twisted, bizarre and completely outlandish sketch comedy show is now available on DVD and Blu-Ray. One part Saturday Night Live and one part The Kids in The Hall, this little show that could is obviously a niche show. It’s not for everybody. But for those who are open minded enough, this oddity of a show is a good escape from everything else currently cluttering the airwaves. 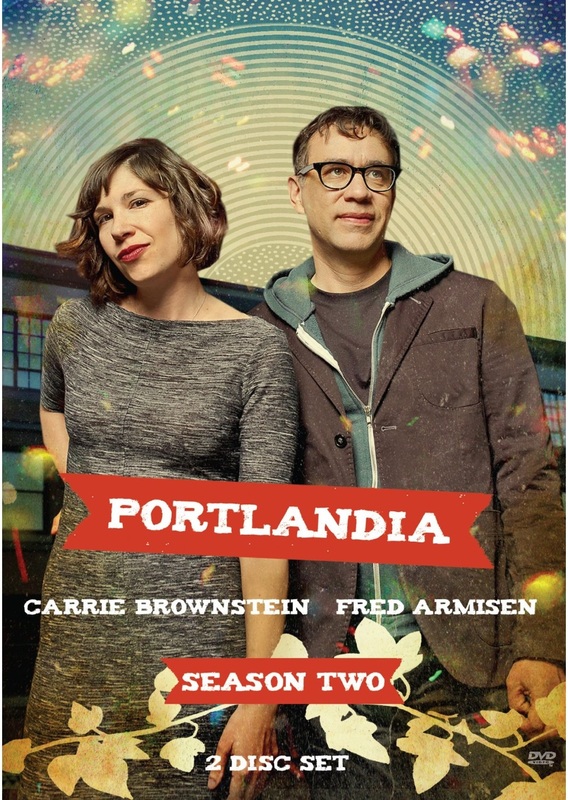 Portlandia’s second season offers more than its share of laughs. Those who are not entirely enthused over this season are likely missing its whole point. As with Season One, this second season continues to completely poke fun at the standard holier-than-thou too hip for the hip 90’s crowd who are stuck in that age to this day, as well as other groups. For instance, audiences are introduced to Spyke and Iris as they plan their wedding in the episode, “Cool Wedding.” Both Spyke and Iris fit that stereotype. And seeing them trying to go against the grain in planning the wedding will leave anyone laughing. It’s complete absurdity. But there’s also a certain amount of truth to their characters as there are people still like them out there today. Another great example from Season Two of its success comes in the form of “One More Episode.” This episode pokes fun not just at the world of science fiction and its sometimes overly devoted fan base. Audiences get to see what happens when Carrie and Fred start watching the recent Battlestar galactic series on DVD. They keep saying they’ll only watch one more episode. They become so wrapped up in the series that they lose sight of everything else. They even become so obsessed that they go off in search of a man they think helped write for the show (but obviously didn’t). Again, there actually is a certain amount of truth to this as there really are people like that. The addition of guest stars Edward James Olmos and James Callis as themselves make this one even funnier. Fans will also laugh out loud as a young man with the Surfrider Foundation tries to get a woman to sign his petition to ban plastic bags. When she declines, his parents and even his grandparents get involved. There’s even a great politically incorrect bit during the season’s first episode, “Mixology” that will no doubt stir up some debate among audiences. It all comes together with the season’s other bits to make for plenty of laughs and a great escape from the current river of mindless reality television that currently pollutes the airwaves today. 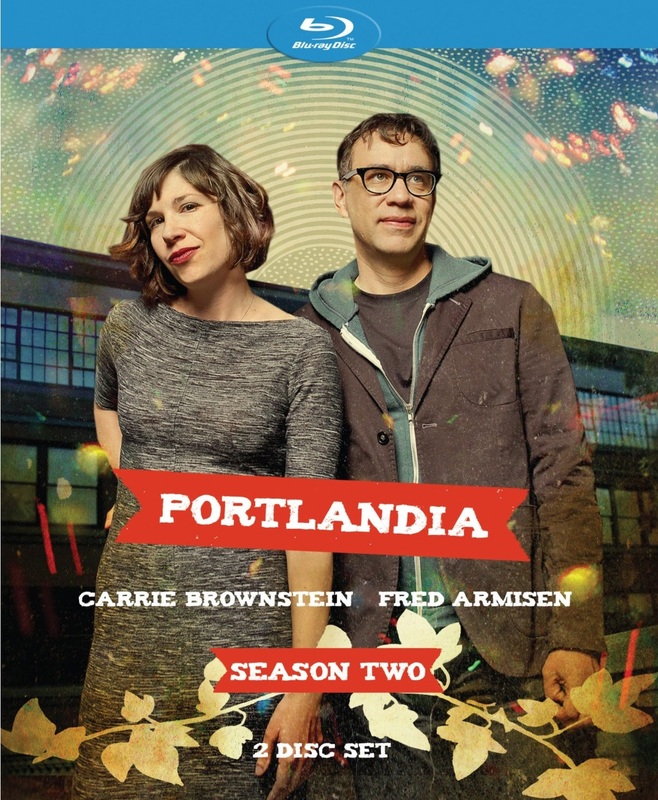 Portlandia is now available on DVD and blu-ray.